One of the most talked-about films of the last twenty years, Donnie Darko is the film that started a million late-night conversations as well as setting Jake Gyllenhaal on the road to Hollywood stardom. This stunning 4K restoration from Arrow Video, supervised and approved by director Richard Kelly and cinematographer Steven Poster, gives the film the release it deserves, allowing you to see it like never before. Donnie Darko is a classic, plain and simple. And whether you want to indulge in the Theatrical or Director’s Cut, this Arrow Video edition really is the definitive release of Richard Kelly’s debut. 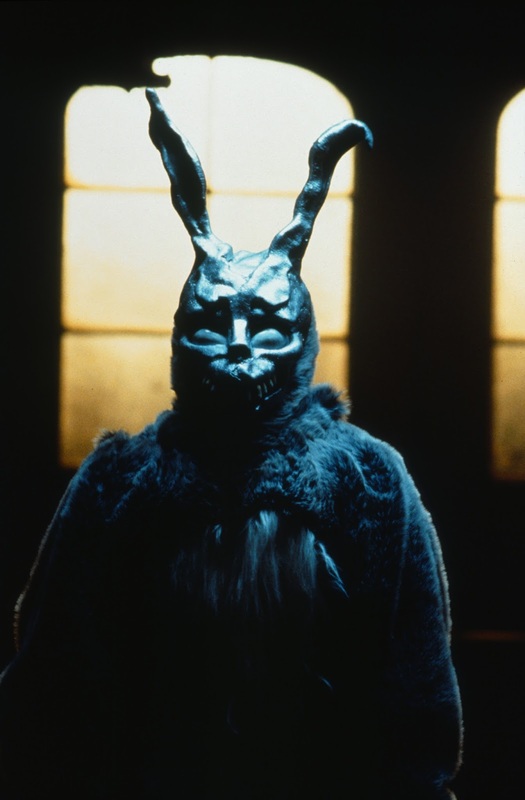 With Stranger Things becoming a huge hit for Netflix now, Donnie Darko shows how ahead of its time it really was. Its combination of sci-fi and 80s nostalgia is lifted even higher by an existential plot that sees troubled high school student Donnie attempting to unravel the mysteries of time travel and why the world is going to end in 28 days - as foretold to him by his imaginary friend, Frank, a six-foot tall rabbit. The cast of Donnie Darko is truly astounding with relative unknowns (at the time) Jake Gyllenhaal, Maggie Gyllenhaal and Jena Malone joining established film stars Patrick Swayze and Drew Barrymore, TV heartthrob Noah Wyle and Oscar-nominated actresses Mary McDonnell and Katherine Ross. It’s rare to get so many great actors in one place, not least for an off-beat indie sci-fi movie, making Donnie Darko a real treat. Patrick Swayze’s creepy motivational speaker is worth the price of admission alone. Arrow Video’s beautiful 4K restoration combined with the original 5.1 audio bring together the visuals and hauntingly nostalgic soundtrack to allow you to experience Donnie Darko at its absolute best. The huge choice of special features, meanwhile, give cinephiles a fantastic insight into this intriguing modern classic. Or at Amazon via the link below.